What is facial aging and what causes it? 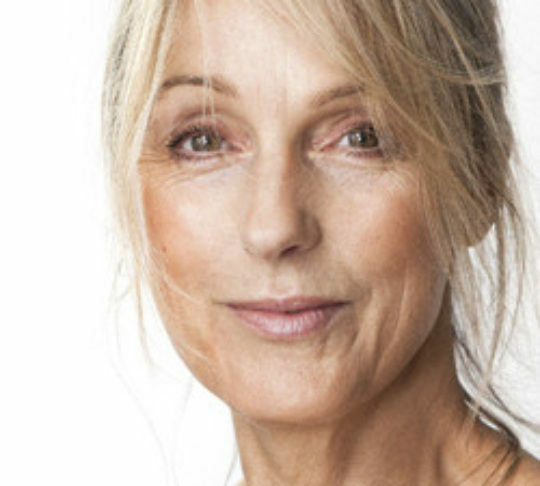 Facial aging refers to how the appearance of your face changes with age. Facial aging occurs mainly as the result of skin changes and changes in the deeper soft tissues of the face. Factors that influence external skin changes include natural aging, skin type, sun exposure, facial movement, and routine skin care. Facial fat deeper within the face thins with normal aging and, as gravity pulls on the face, the underlying soft tissues droop. These two types of changes are separate processes and require different treatments. What kind of skin changes occur with aging? As the skin ages, it loses its elasticity and skin tone, which eventually leads to fine and coarse wrinkles. The surface of the skin might become rough and dry. The outer layer thins, which gives the skin a translucent appearance and might reveal small underlying blood vessels. Sun exposure causes freckles, irregular facial pigmentation (skin coloring), as well as pre-cancerous and cancerous skin lesions. These are the changes that can be improved with chemical peels, dermabrasion, and laser resurfacing. What kind of gravitational changes occur? Gravity causes stretching and looseness (laxity) in the supporting ligaments (flexible bands of tissues) of the face. As a result, the forehead and eyebrows droop, and folds of skin develop on the eyelid. Fat in the cheeks also droops, which results in deepening of the smile lines and the formation of jowls. The neck begins to sag and develops neck bands. These changes cannot be corrected with chemical peels, dermabrasion, or laser therapy, but require procedures such as a face lift, neck lift, forehead lift, or eyelid surgery to re-drape the skin and re-elevate the underlying deep structures. What kind of daily skin care should I be using? Daily skin care programs are also available to help enhance sun-damaged skin. These programs might include cleansers or lotions containing alpha hydroxy acids, such as glycolic or lactic acid. Bleaching agents such as hydroquinone (Eldoquin Forte®, Melanex®, Solaquin®) and kojic acid might also benefit patients with mild pigmentation abnormalities. Many patients can benefit from tretinoin (Retin-A®), which increases the thickness and health of the skin. Other products available include salicylic acids and vitamin C solutions or cream. Daily sun protection is a must to maintain the benefits of the prescribed skin care and prevent any further sun damage. Many factors determine which combination of skin care products is right for you. Consultation with a plastic surgeon trained in skin care can help you develop the correct approach for your skin care needs. How do skin resurfacing treatments work? A consultation with a plastic surgeon or dermatologist can help you identify your concerns and skin care needs. Mild skin changes common with aging and sun damage require light- or medium-depth peels. Moderate changes should be treated with a medium-depth peel, dermabrasion, or laser resurfacing. Severe skin changes require a deep chemical peel, dermabrasion, or deeper laser resurfacing. The deeper the treatment, the more time your skin will need to heal. In general, recovery for superficial chemical peels is three to seven days depending on your skin characteristics and the depth of the peel. Moderate-depth peels, light dermabrasion and laser require five to 10 days to heal, and deep peels, dermabrasion, and deeper laser resurfacing take about seven to 14 days to heal. What should I know about preparing for and recovering from the treatment? Before your skin treatment, you will need to prepare your skin with a daily application of Retin-A, a bleaching agent, and sunscreens to even out the quality of your skin and suppress the pigment producing cells. After the treatment and healing, your skin will be red for some time, depending on the depth of treatment. The light redness can be easily covered with makeup.